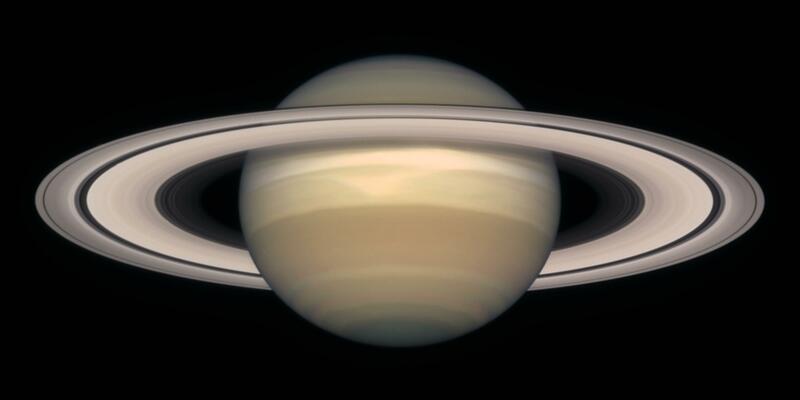 Saturn reaches opposition on the 3rd June, making it appear slightly larger, hence a good time to view, the Seeliger effect means the rings are particularly bright, you can find Saturn low down in the south, late in the evening. Look for the Cassini gap, the dark line in the rings. 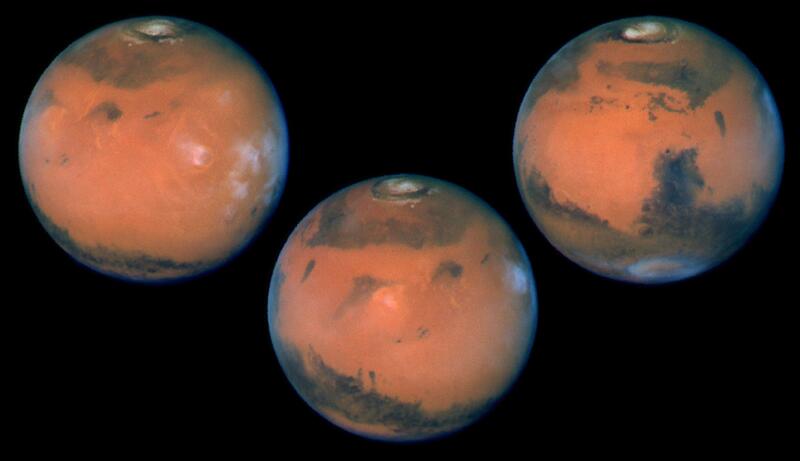 Mars is also well positioned, in the south, having reached opposition on the 30th May, a particularly clear night may allow a view of the dark ‘v’ of Syrtis Major. 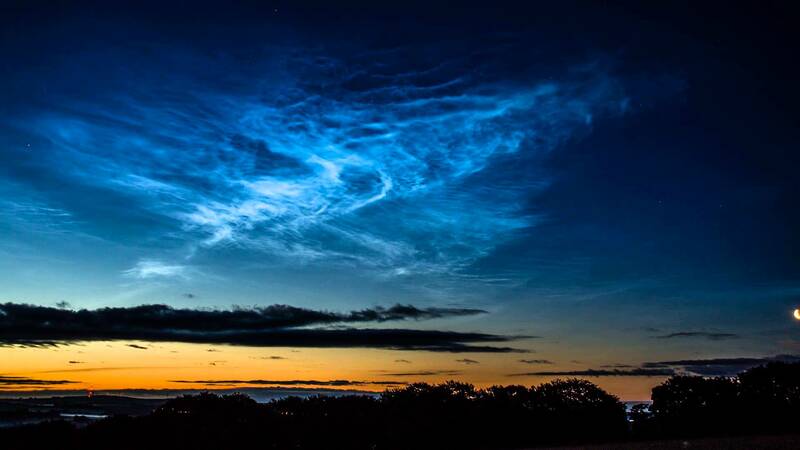 As we settle into June, look out for the beautiful night shining noctilucent cloud formations that can be seen high up in the atmosphere on clear nights. Often seen as electric blue fine streaks, 90-120 minutes after sunset is a good time to try to spot these formations. These clouds form 7 times higher than the clouds we normally see, and are thought to form around tiny meteor fragments in the mesosphere. The moon also approaches opposition this month, a splendid time to view or photograph. June brings us the annual Lyrid meteor shower, peaking on the 15/16 of the month, although the phase of the moon means unfavourable skies. 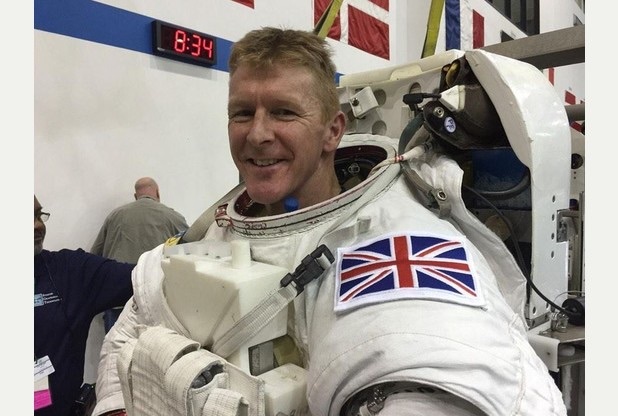 And finally, 18th June sees the return of Tim Peake from his six month sojourn onboard the ISS. Posted by plandsscience on June 3, 2016 in Astronomy, science and tagged NASA, sky at night.